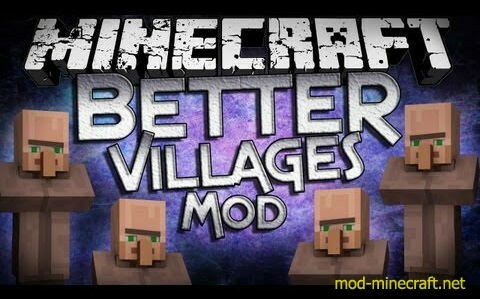 This mod fixes the spawning of villages to more frequently and they are closer together when you do find them much like you would in reality. 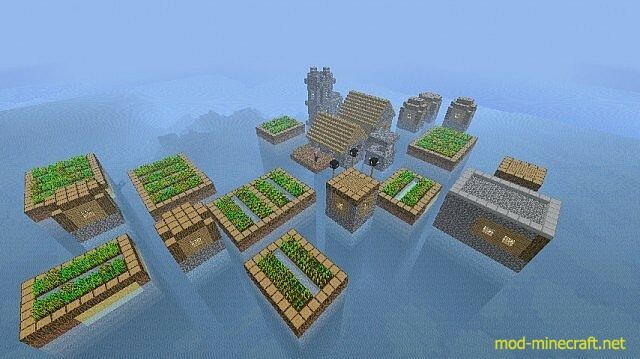 While traveling through Minecraft you might stumble upon a lone village, sometimes spawned in at a precarious area, leading to some insane village generation. Villages in Vanilla have gotten a little better but Better Villages ramps it up even more! 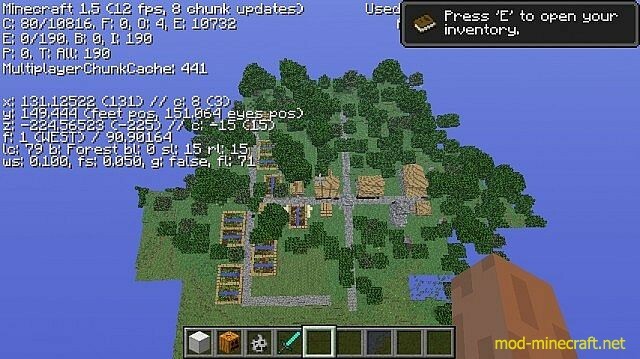 Villages spawn more tightly together like a town, they spawn in Jungle biomes, Mountains and even in the ocean! 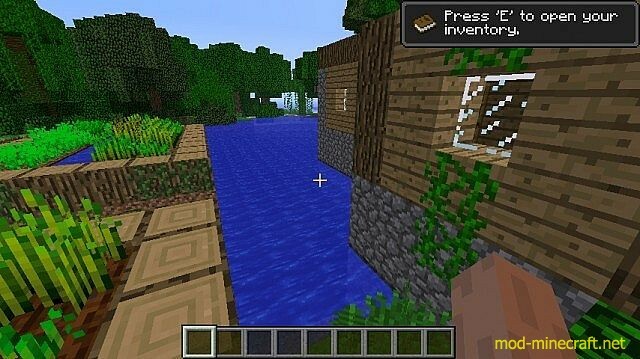 Gardens within the villages are also fixed, adding lily pads and gates to the fences, even torches for light. The lamps around the villages use glowstone instead of torches, giving a lot more light at night time. Villages now spawn in every biome that has a little flat land. Villages spawn 5 or more houses. 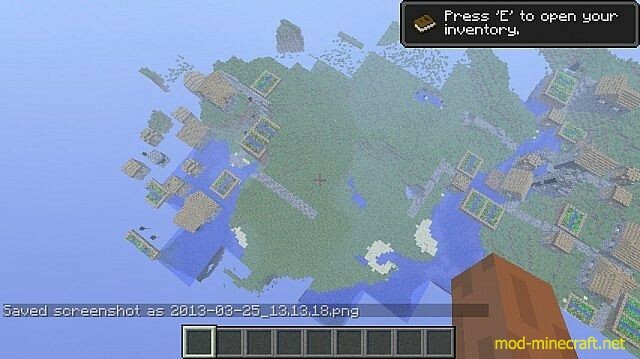 Villages extends land into flat land. Villages break apart any block in the way. 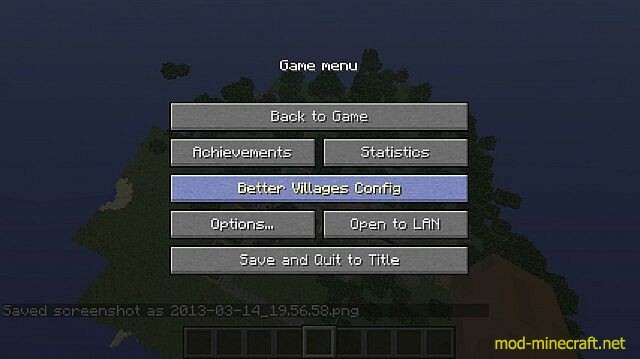 Villagers have a low chance of attacking a zombie, still working on it, but cool! Villages no longer have a weird generation with gravel. 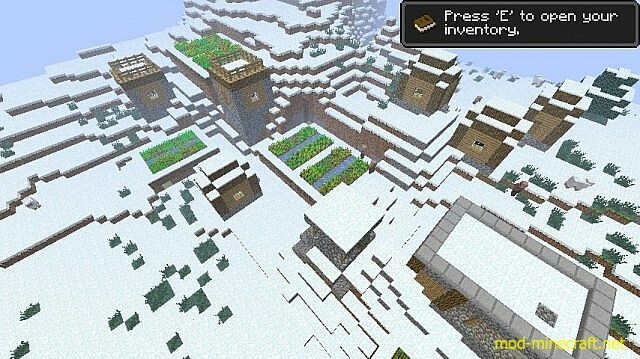 Biomes now have a fixed spawn-rate so there won’t be like 500 villages in one single biome on LargeBiomes generation and default world. Villagers now walk on terrain like nothing before! They can detect where they walk. Villagers will attack zombies ONLY if the Golem Spawn Rate is below 10%. Which is extremely rare. 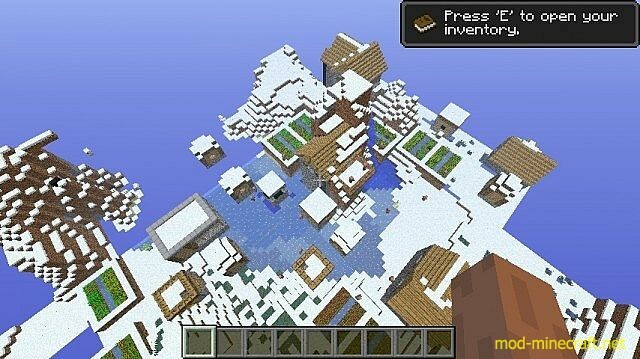 Villages spawn in literally every single biome except ‘The End Biome’! Added new GUI in the In-Game menu.